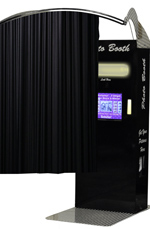 Pennsylvania Photo Booths – Photo Booths for your wedding or next corporate event. 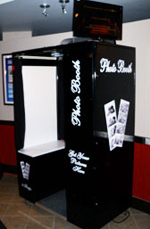 Every photo booth rental receives benefits included in their package that you won’t receive anywhere else. Below are just a few of the benefits included with every rental. If you’re interested in renting a photo booth, submit your information and we will contact you. When looking to rent a Photo Booth for your affair there are several important things to consider that most rental companies don’t want you to know. Pennsylvania Photo Booth prides itself on providing brand new state of the art equipment with the absolute best value and guaranteed lowest prices in the country. Our services are highly rated and reviewed. We are always receiving positive feedback from our customers and occasionally an award, such as our WeddingWire Bride’s Choice Award. We have a variety of booths to choose from, including a classic photo booth, an extended photo booth, a wings photo booth, a lounge photo booth, and even a pink power photo booth. Our photo booth packages include unlimited photo prints, digital prints that you can send to your social media or download online. Plus, event guests can leave you a video message. We handle setup and tare down. Plus, every photo booth rental includes two attendants, because one is not enough for 100+ people. Travel up to 100 miles is also included with every rental. 3, 4, & 5 hours packages available. 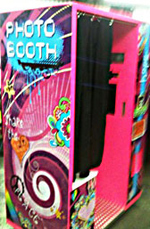 Small Photo Booth footprint seats 4-6+ guests comfortably. Every guest in the booth gets a copy of strip. FREE Video Messages left by your guests. FREE Customized Photo Strips and welcome screen. FREE Scrapbook includes photo strips taken at event with personalized messages from guests. FREE Prop bin, with over 50 silly sunglasses, hats, boas, signs, mustaches, wigs and other fun items. FREE idle time. We never cause a commotion at your event. 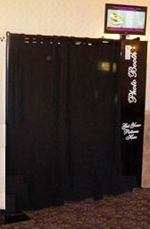 Treat yourself and your guest with the most popular Photo Booth rental in Eastern Pennsylvania and New Jersey. It’s the perfect wedding Photo Booth rental and includes a Scrap Book with all of the pictures taken at your event. We service Eastern Pennsylvania, ALL of New Jersey, and the Philly area. 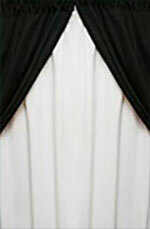 Enjoy our Pennsylvania Photo Booths at your next wedding or any type of party. Are you planning your Allentown, PA wedding reception? Try our famous Pennsylvania Photo Booth 5 hour Package and get a Chocolate Fountain for $100*. Check out our Video Montage Upgrade for your photo booth rental package today. Our Video Montage Add-On is $150 and includes a 4 to 7-minute montage of the photos and videos taken at your event, set to music. Perfect to remember your special day!